Have you ever taken a walk with a preschooler? If not, I highly recommend it. Strolling along at preschool-pace is good for your mental health. Here is how a preschooler takes a walk: “Oh, look, here is a pretty rock! Wow, it sure is shiny and smooth. I see black and gray all swirled up together. I like how it feels kind of cold in my hand. I think I’ll keep it!” She stuffs the rock in her pocket and takes a couple more steps. “Oohh! A lady bug!” She crouches down to bug level on the path. “It sure is tiny. Black and red and spotted. I think I’ll count its legs. Wonder where this bug is going? I think I’ll watch it for awhile and see.” She sits down and intently watches the lady bug as if she has all the time in the world. Five minutes pass and the bug scoots under a big rock. Unfazed, the preschooler takes a few more steps. Let’s stop right there. When was the last time you took a walk like that? If you are like most adults, I bet it has been awhile. 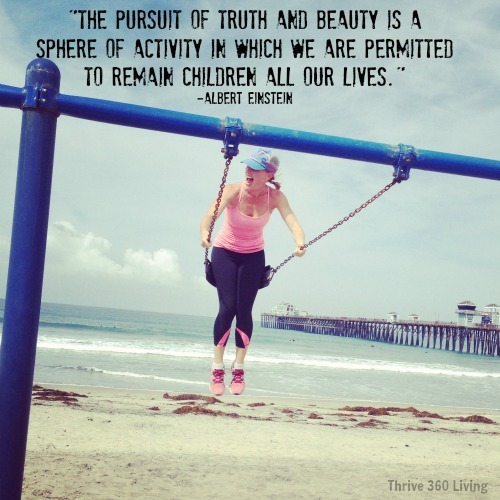 That’s because when adults go walking, it is usually with intent and for the purpose of exercise. We need to accomplish the walk. Take the walk. Conquer the walk and mark it off our to-do list. Get it done and move on to the next task that needs doing, right? By contrast, preschoolers enjoy the walk. They are never in a hurry to do it and have it be done and behind them. They don’t look at their watches, monitor their speed, count their steps, and try to beat their last walking record. Their walk is not a goal to be achieved. While they are walking, preschoolers dont’ trouble themselves with what their next project is after the walked is completed. They don’t even think about the end. Preschoolers are very present-oriented, not troubling themselves about the last walk they took or what they need to do later that day. They simply immerse themselves in the process of walking and the joy of noticing the wonders oft nature . What would it be like if you took a preschool walk every so often? If you leisurely strolled the path and took notice of all that nature has to offer, my guess is that you would have less anxiety, less stress, and a renewed sense of peace. Sight. Pay attention to color, shape, and size of things on your walk. Look up and down, not merely straight ahead at what’s coming up next. Smell. Notice the scents in the air and on the plants. If there are flowers along the path, stop and take a sniff. Sound. What do you hear? Dogs barking, children laughing, water dripping, leaves rustling? Taste. It might not be wise to sample the foliage around you unless you are an experienced outdoors-person, but you can imagine what these might taste like. Touch. Identify temperatures and textures of the things around you. Emotions. Tune in to your feelings while walking. Breathe and let any stress puddle at your feet as you connect with the beauty of nature that surrounds you on this walk. Still not convinced that preschool walks are for you? Well, consider this: When was the last time you saw a preschooler look stressed out as he let beach sand pour through his fingers, or as she counted the petals on a flower from the garden or watched a bird splash around in a puddle of rain? Now imagine how a preschool walk could ground you more firmly in the present moment and melt away past regrets and future fears, and in general increase your sense of mental well-being. Vickie Hull, M.S., LCMFT, is a marriage and family therapist in Lawrence, Kansas. She conducts individual psychotherapy with people of all ages (including children and teens), couples counseling (premarital, marital, cohabitating), family therapy, medical family therapy (involving medical situations), and grief therapy. Vickie can be reached at vhullmft@yahoo.com or through her website: http://vickiehullmft.webs.com. Gallery | This entry was posted in Life Coaching, Physical & Emotional Abuse and tagged abuse, benefits of walking, collin rosati, divorce, domestic abuse, free mediations, hypnosis courses, hypnotherapy, hypnotis, inner healing, kamloops, kelowna, kitsilano, learn hypnosis, love, meditation, mental health, mind body soul, north vancouver, study hypnosis, vancouver, victoria, walking for mental health. Bookmark the permalink.